Here’s a fall foliage final approach photo from my flight this morning. 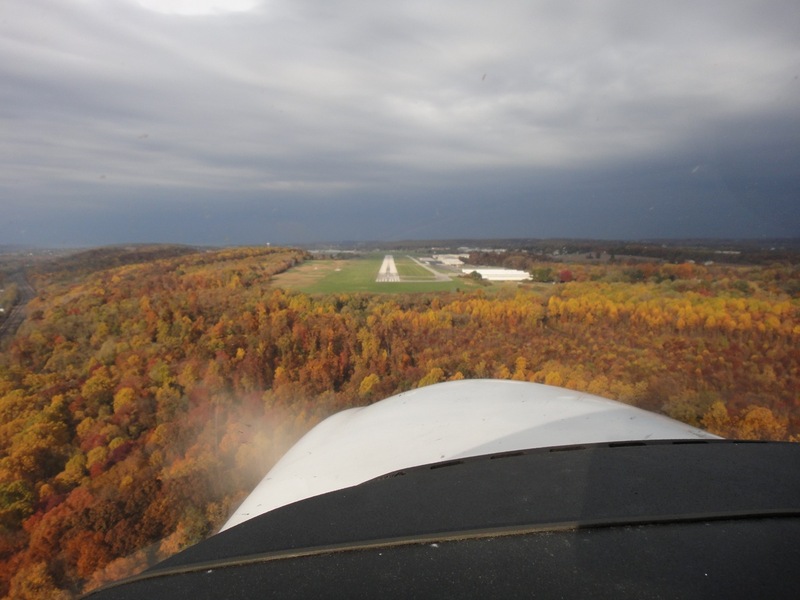 This was heading in to Runway 29 at Chester County Airport (KMQS). Final approach to 29 at KMQS. It was a great morning to go flying. Smooth air, no traffic, friendly controllers, and the Diamond DA-40 was flying well. Then the weather came in from the northwest and I had to head back. Still, the leaves were spectacular and great to view from up in the air.